Let's imagine for a second that you are a Manager at the FooBar Organization. As a manager, you probably have a team of employees; and as a manager, your job is to manage this team. This is why we have included, as one of our core modules, the Team Management feature — let's take a quick overview on its functionality and how it could be used to serve your needs. And as simple as that the Team is complete! But before you go and create your teams, let's explore the different functionalities that we have included for Teams. Firstly, you will notice the Navigation Menu on the left has a link to Certifications. This link will bring you the the Team's Certification Settings where you can assign any of the available certifications to your team. Unless otherwise specified, all the Team Leads will receive notifications when a team member completes any of Team's Certifications. 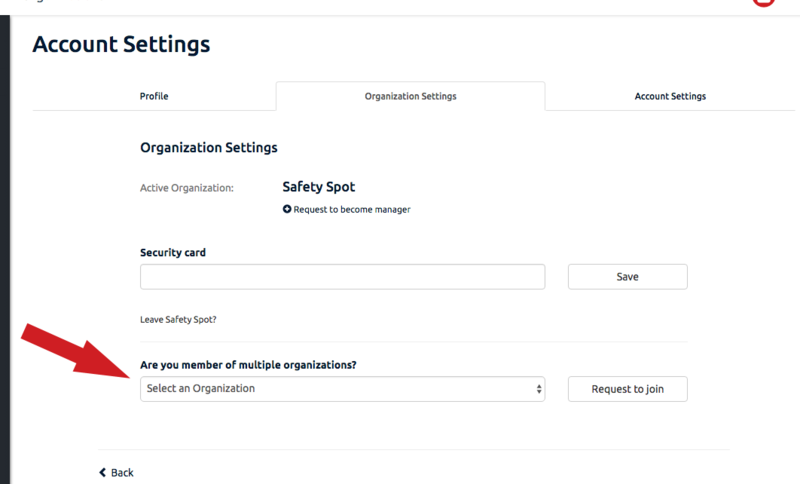 Safety Spot is releasing version 1.1.0 and we are very excited to launch the following features. 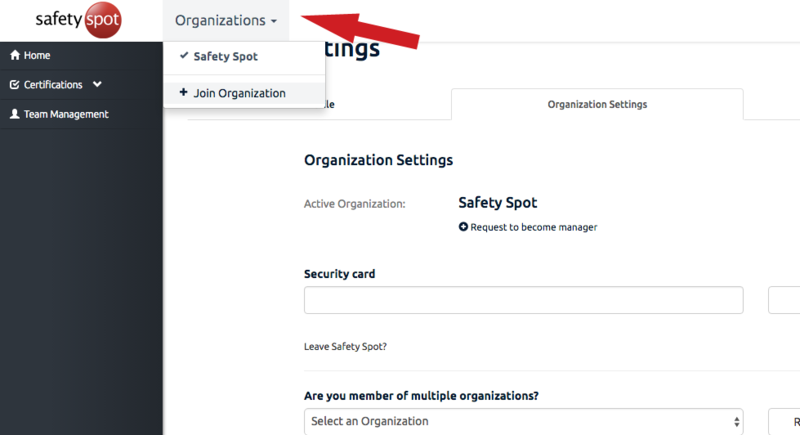 You may have also noticed the new Organizations Dropdown in the Navigation bar. Users can use this to quickly send a request or switch between the Organizations they already belong to. We hope this feature will allow users to seamlessly switch between organizations and eliminate the need to create a different account for each one. With this release, we are also introducing Notifications. 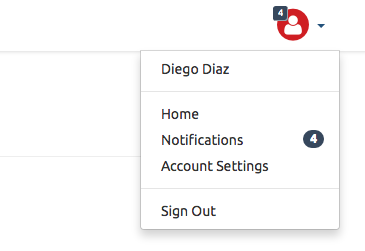 Users will now get notified when they have been added to an organization, when they are given a Manager Role, and many more actions that are relevant to the user. When notifications are sent, the user will see a number on the top navigation bar corresponding to the number of new notifications. This feature has enormous potential and will be expanded as Safety Spot grows.